You’ve probably experienced this at some point in your weight-loss journey: You follow a nutrition and fitness program, you lose weight, you get healthy, and you like how your clothes fit. Success! You had a bad day/week/month at work. Thanksgiving dinner happens. Then Christmas happens. Then New Year’s. Before you know it, a one-time “snack-cident” has mushroomed into a full-on months-long binge. Then comes the wall of shame that sends you into a pit of despair and self-loathing. So, why does this keep happening? And how can you stop the cycle? People enjoy things that are new and exciting. It may sound strange, but sometimes it’s fun to start a new diet or exercise routine. You get to try new recipes and new workout routines and there are all these gadgets that track all everything. But once the initial excitement wears off, you probably get bored. Or the stress — either physical, mental or both — of maintaining the routine feels overwhelming. Before you can see the positive evidence (in the mirror, on the scale, in your pants size, in compliments), you give up. When it comes to weight loss and fitness, most people want immediate results that don’t require a lot of suffering. Suffering doesn’t have to be physical pain — though the soreness you might feel when starting a workout routine could count — it can also be the annoyance of skipping that morning latte, avoiding your favorite foods, or waking up early to work out. That holiday eating-and-drinking trifecta — Thanksgiving, Christmas, and New Year’s — can exacerbate that feeling of suffering. If it were possible to lose weight and get fit and healthy in a short amount of time, none of us would be in this situation in the first place. Sustained, healthy weight loss and maintenance takes time, endurance, and patience. To stop the vicious dieting cycle, you need to find a way to cope. If you identify with one — or all — of the pitfalls listed above, the first step is to recognize that you’re doing these things. Next, you need to employ strategies that will stop you from engaging in the unhealthy cycle so you can ultimately reach your weight loss, health, and fitness goals. Acknowledge the desire for novelty and meet these needs in other areas in your life before the newness of the diet and/or exercise routine wears off. For example, you could try a new sport or hobby. Or instead of trying out a new group exercise class at that pricey fitness boutique, test a new workout routine in the comfort of your home. Pro tip: Beachbody on Demand features hundreds of workouts for every fitness level and nutrition programs like Portion Fix and 2B Mindset that can help you dial in your diet. Also, look at the rest of your life to see what realistic, sustainable changes or allowances you need to make to meet your goals. For example, if you keep skipping your evening workouts because of work obligations, schedule changes with the kids, or you just want to eat dinner before 9 p.m., gradually shift your schedule so that you can eventually become one of those enviable people who wakes up, works out, eats a healthy breakfast, and is ready to face the day before 9 a.m. 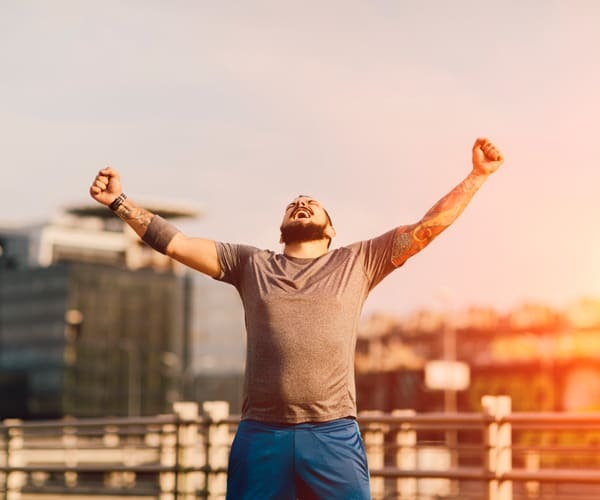 It may take some trial and error that includes going to bed earlier, allowing for one snooze only, and setting your workout gear out the night before, but it can all be worth it in the long run. Whatever your long-term strategies become, try to keep in mind that life can be unpredictable. Allow for some wiggle room and what to do if you have to move your morning workout to lunchtime, or even another day. Make sure to include special occasions like birthdays, meals out, and vacations into your overall plan. You should be able to embrace life and enjoy it, no matter if you have pounds to lose. If you aren’t following an exercise routine or eating plan that helps you do this, it’s time to reassess. Think of weight loss and maintenance as a marathon rather than a sprint — a process where you have to learn how to crawl before you can walk. That means adopting a lifestyle that includes clean eating, quality sleep, and plenty of daily activity. Start new healthy habits, like replacing that morning fry-up with a Shakeology and a balanced breakfast. If you reflect on your struggle with weight, you’ll probably discover that it probably took you a while to get to where you are today. Similarly, it may take a while to find success in your weight-loss journey — but eventually you will get there. Accept your weaknesses. For example, if you know that an upcoming family gathering like Thanksgiving or Christmas will make it hard to stick to your healthy eating plan, work around it by planning ahead. Consider what you’ll eat ahead of time — and stick to that plan. Or try bringing your own meals so that you won’t be tempted by not-so-healthy dishes. When you get home, de-stress in a way that doesn’t revolve around food. Soak in a bubble bath, listen to music, go for a long walk, or get lost in one of your favorite books. Accept that there will be days when you have a setback, but don’t let it hold you back. Refocus on your goals and get back on track. Stay away from extreme labels that make you feel hopeless (“failure” is one of them), or drive you to set unachievable standards (like “looking like a supermodel”). When you do drop pounds, are able to do several push-ups without resting on your knees, complete a couple of weeks of clean eating, or finish a workout plan or challenge, pause and revel in your accomplishments. Reward yourself with a non-food item. Share your success on social media. You may just inspire someone else to make healthy changes, too! 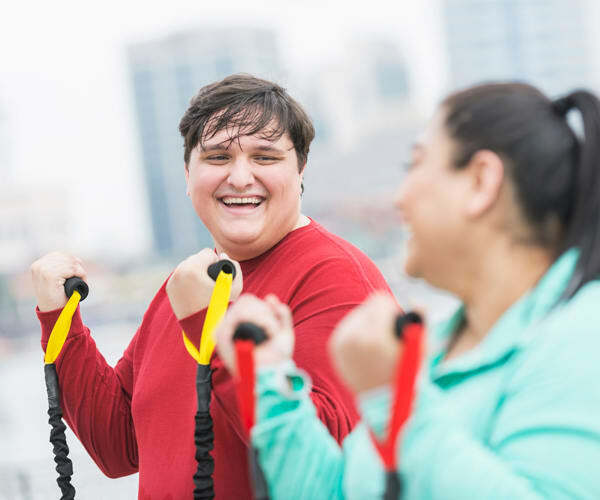 Many people find that they are more successful with long-term weight loss when they involve others in the process. Announce your commitment to get healthier and stronger to your friends, family, and coworkers. Or start or join a Challenge Group, join a Facebook group, or recruit workout buddies and accountability partners to help you stay motivated when your resolve starts to slip, or you feel tempted to make unhealthy choices. If you keep falling short of your weight-loss goals, take some time to examine why you went astray. Remember that nobody is perfect all of the time, and this shouldn’t be the goal. You might have to go through several months or even years of trial and error before you find the routine, habits, exercise, eating plan, and support system that you need to become a lighter, fitter, healthier you. That’s OK — if you stay committed to your health, you will eventually discover what works for you.